Bandai a club owner and well known in Tokyo nightlife, is in big trouble with the Yakuza as he owes a lot of money. 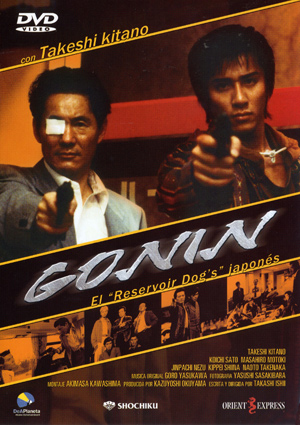 Lacking any cash to pay and running out of time he comes up with a plan to rob the Yakuza. He rounds up some people to help him, Ogiwara an unemployed corporate worker, Hizu a former cop who lost his job due to a scandal. Jimmy a wasted addict in love with a Thai prostitute and Mitsuya a con artist who specializes in blackmailing well-placed homosexuals. After going over every detail they attempt to rob the Yakuza.